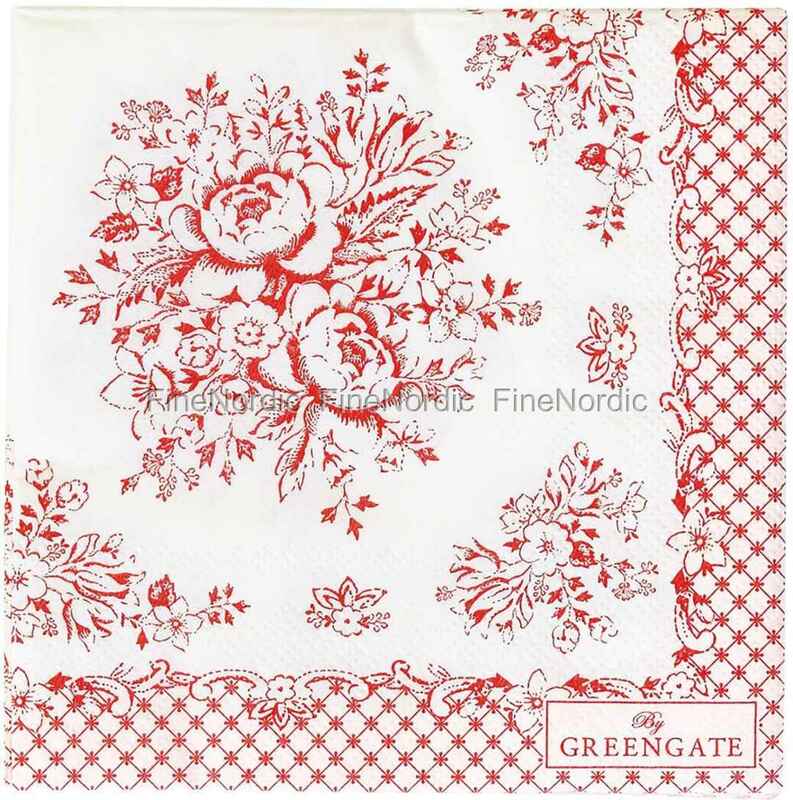 GreenGate’s paper napkin Stephanie Red with its red rose pattern on a light background is just beautiful to look at. Romantic flower bouquets encircled by a baroque border turn the napkin into a nostalgic feast for the eyes. It is not only the perfect napkin to stylishly hand your guest a few treats or a muffin with, but also to use for a garden party or a picnic. The small napkin ensures a clean mouth and clean fingers and if it has done its job, one can easily dispose of it. So practical and so swank, this can only be a napkin by GreenGate.